Kylie Jenner plays about in the pool... before falling off her inflatable unicorn. 24. 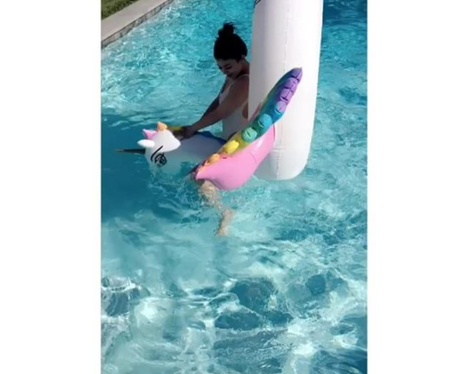 Kylie Jenner plays about in the pool... before falling off her inflatable unicorn.